AGRICULTURE minister and former Air Force boss Perrance Shiri has defended the deployment of soldiers in the ongoing military crackdown on citizens following nationwide protests recently. Shiri told thousands of Guruve villagers on Friday that the military had a duty to bring law and order where police would have failed. 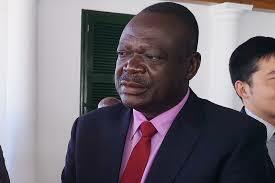 He said Zimbabweans must live peacefully and try to grow their economy in a non-violent environment. “I heard others asking why the soldiers had to intervene,” the retired chief air marshal said. Shiri said those who participated in the riots must be prepared to face the music. He said disgruntled people should find other avenues to raise their concerns such as Parliament, peaceful demonstrations or engaging the government. Shiri said Somalia was stripped into ruins by chaos. “Countries such as Somalia didn’t wake up in their current situation. It all started small but went on to be prevalent. I once went to Somalia, their capital Mogadishu is like a ruin. The infrastructure is vandalised,” he said.